This year's Coastal Bend Day of Giving supports 50 area nonprofits on the forefront of assisting those in need, and Arms Wide Adoption Services is one of them. For more than 41 years, Arms Wide Adoption Services, formerly Spaulding for Children, has been expertly and compassionately transforming the lives of children in foster care by finding them safe and nurturing adoptive families. Their team embraces each family with warmth and compassion and holds their hand through the process, whether they are coming for no-fee adoption, post adoption, or post permanency services. 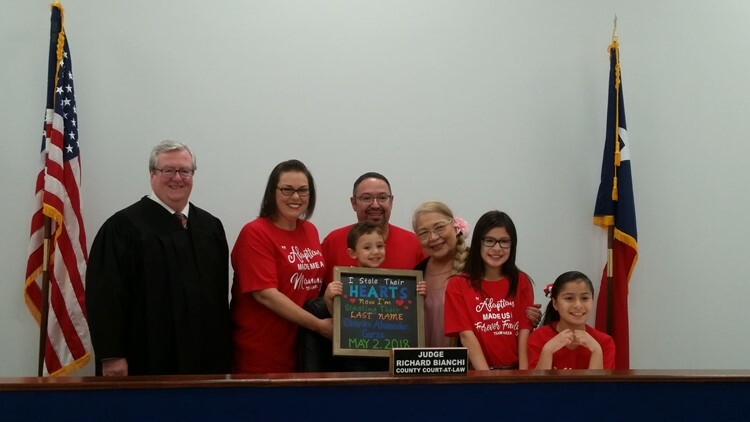 Having placed more than 2,100 children with forever families, Arms Wide Adoption Services connects each child to the right family, supports them along the way and beyond, and celebrates with a family fulfilled. Check out the links below for more information about Arms Wide Adoption Services.